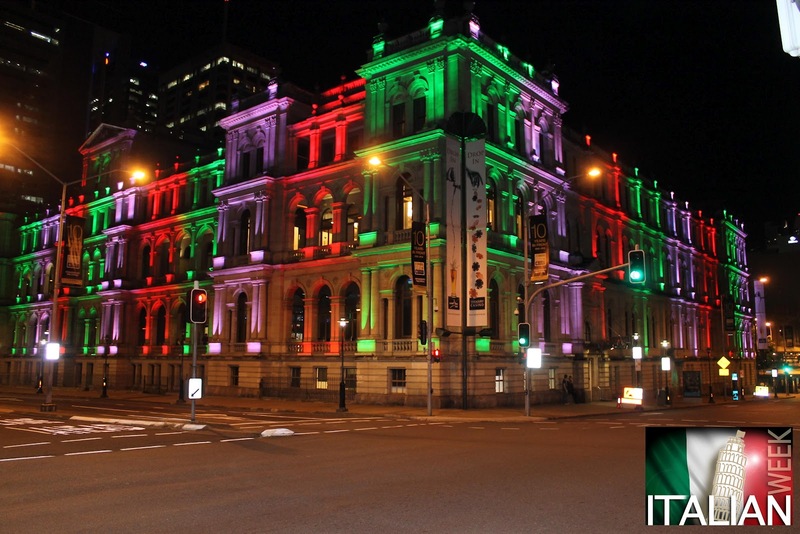 The beautiful historical building is Illuminated for the entire week as part of the 'Illuminate and Inspire' project, A feature of Italian Week. 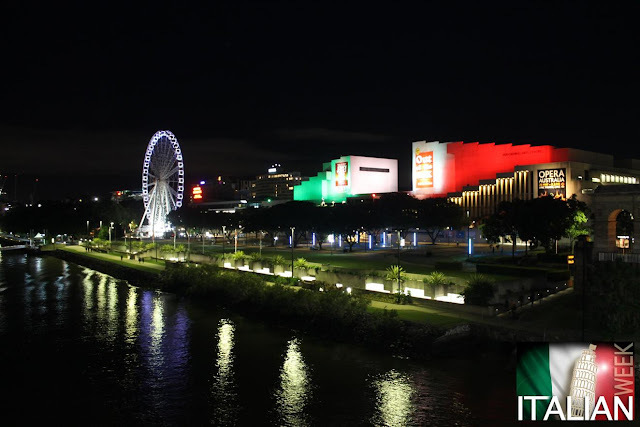 The Green, White and Red of the Italian Flag looks spectacular with the Queensland Performing Arts Centre directly Opposite also illuminated as part of the same project. Bellissimo!! It was my pleasure to be the MC at the Ipswich Global Fiesta Multicultural Festival in April 29th 2012. Soak up the atmosphere of our global community and enjoy an exciting line up of multicultural entertainment right here in the heart of Ipswich. Offering an exciting collaboration of cultures showcasing a great range of activities with more than twenty different community groups represented through international food stalls, interactive workshops and traditional song & dance. Engage in old fashioned games such as horse shoe throwing, delight your senses with Tibetan singing bowl performances or be tattooed with an intricate natural henna design. There is something for all tastes. Experience the Global Dance Pavilion where people of all ages and all levels can learn and move to the rhythms of some seriously infectious beats. African drumming and dancing, Bollywood, Hip Hop, Zumba and Caribbean steel drumming can all be experienced on the day. If you have an instrument, join the Global Jammin' Circle. Express yourself with other musicians in this creative and organic jam session. The Global Stage features stunning Japanese Taiko drummers, charismatic traditional Greek dancing, Indian folk, classic Italian opera, Irish folk and the high energy of classic Latin. Local groups including the Goodna Line Dancers will have you boot scooting to some country tunes while the Armenian dancers will mesmerise you with their smooth moves. During the program, waiters representing local Ipswich restaurants will compete in an entertaining race. This unique fundraising event supports the Hear and Say Centre and aims to collectively raise $25,000 to sponsor deaf or hearing impaired children through the Hear and Say program. Download the Italian Waiters Race Information Pack and Registration Form. Who will win Ipswich's inaugural race? Come and cheer on local waiters and waitresses as they compete to take out the title and win great prizes.